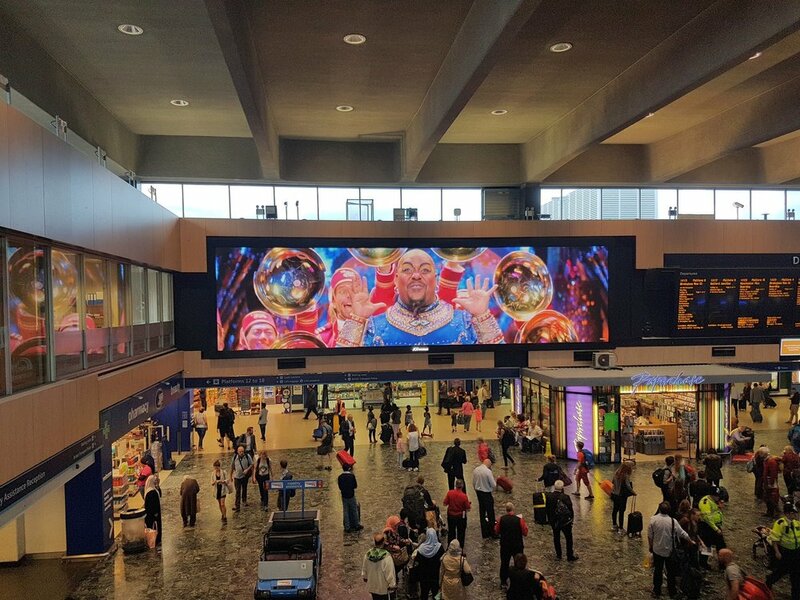 VEDA were appointed by Spence to act as consulting Structural Engineers for the detailed design of the structural steel frame to support a new digital LED advertising screen at Euston Station for JCDecaux. 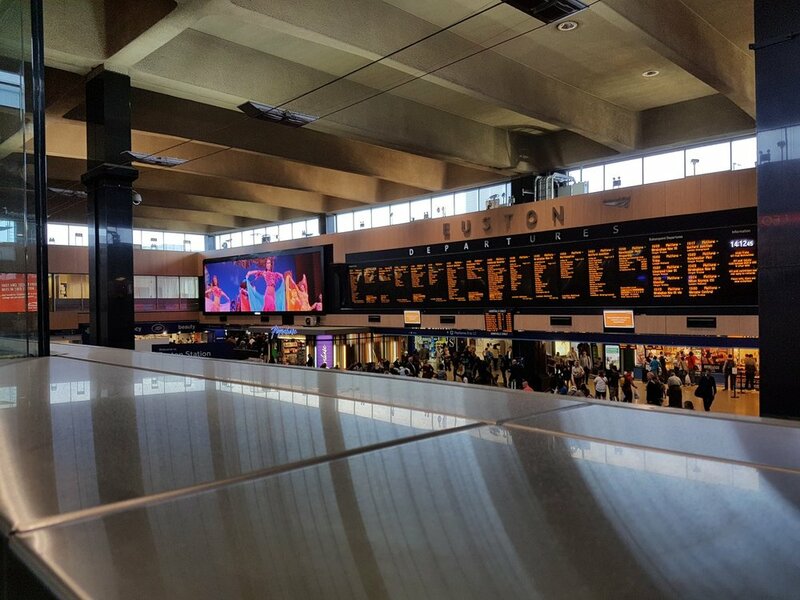 The project involved the removal of the existing static screen and cladding at mezzanine level overlooking Euston concourse and their replacement with a 15.0 metre by 4.0metre digital LED advertising screen. The new digital screen is formed from a 256 Aoto 2pcs modules, which slot together to form a complete LED screen. The structural support itself is formed from a series of structural steel upright supports spanning between the existing reinforced concrete high and low mezzanine downstand beams and fixed via bolted connections. To ensure lateral stability of the steel frame was maintained, a number of additional connections were utilised. Before the installation of the steel frame, VEDA undertook full structural investigations of the existing high and low Level downstand edge beams to determine the underling tensile reinforcement. After the completion of the structural investigations, a full structural analysis of the existing concrete structure was carried out to ensure it could support the additional weight from the new advertising screen.